Shillong, February 10: Indian paddlers, as expected, shared the entire gold-silver booty, leaving the lesser medals to the neighbours in the table tennis events of the South Asian Games which came to conclusion at the Nehru Indoor Stadium here this afternoon. 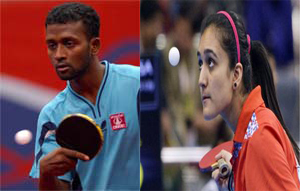 Shillong, February 9: The Indian superiority came to the fore when their paddlers entered all five finals of table tennis as their men, women made a light work against their opponents in singles, doubles and mixed doubles events in the South Asian Games at the Nehru Indoor Stadium here this evening. 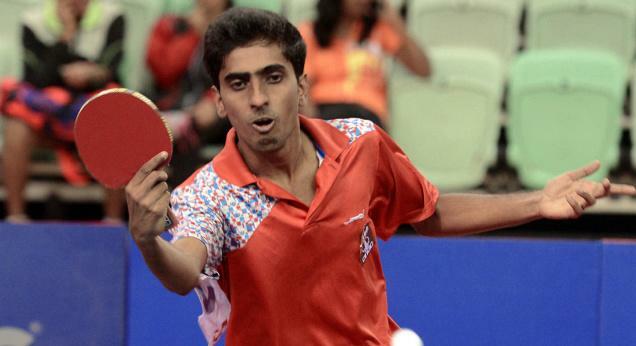 Shillong, February 8: Top-seeded and second-seeded Indians, G. Sathiyan and Anthony Amalraj, entered the semifinals of the men’s singles table tennis event in the 12th South Asian Games here today. In women’s singles Manika Batra and Mouma Das, too, joined their men counterparts in the semifinals, keeping their No. 1 and No. 2 seeding intact. Shillong, February 7: India’s men and women beat Sri Lanka and Pakistan, respectively, to win the team gold medals in both the sections of the table tennis competition at the South Asian Games, being held here today. 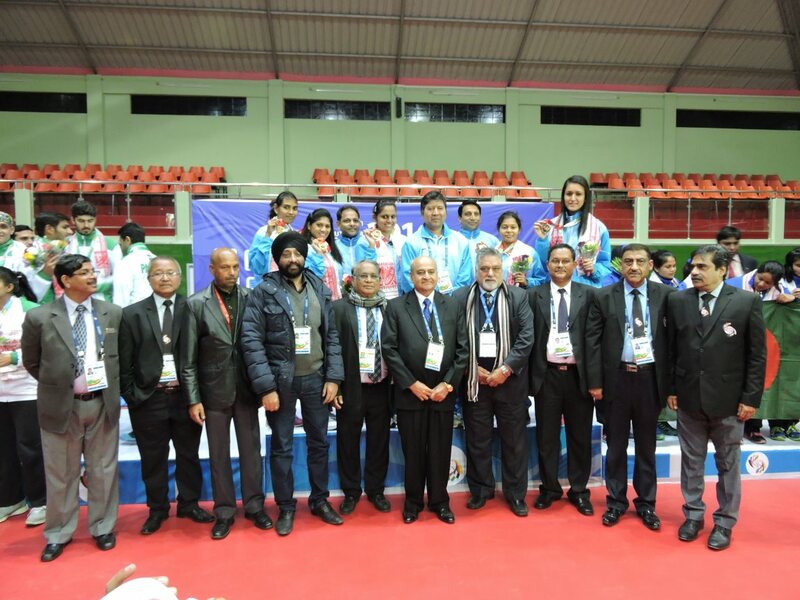 Shillong, February 6: India’s men and women team entered the second stage of the table tennis competition at the South Asian Games, being held at the Indoor Stadium here today.